Basil Stuart Hetzel was born in London in 1922 and was educated at King’s College and St Peters College in Adelaide. He graduated in medicine from the University of Adelaide with distinction in 1944. After postgraduate education and research in Adelaide (1945-51); New York (Fulbright Research Scholar (1951-54); and London (1954-55), he returned to the University of Adelaide as Reader and later Michell Professor of Medicine (1956-68). From 1968 to 1975 he was Foundation Professor of Social and Preventive Medicine at Monash University in Melbourne, before joining CSIRO. Basil Hetzel is an Australian medical pioneer, and one of the National Trust’s Living Treasures. He was the first Chief of CSIRO’s Division of Human Nutrition, serving in that role from 1975 until 1985. At CSIRO, he led the multidisciplinary team that first established the effect of iodine deficiency on brain development in animal models including the marmoset and sheep. These animal studies indicated the significant effects of iodine deficiency on growth and development with reduced brain size and retarded development. The effects on the brain were part of a spectrum of effects including abortion and stillbirths as well as goitre and growth retardation of the foetus due to reduced thyroid gland function in both mother and foetus. In 1986, Dr Hetzel initiated and then became Executive Director of the International Council for Control of Iodine Deficiency Disorders (ICCIDD) which is now a global multidisciplinary group of 700 scientists, medical administrators and public health workers from more than 100 countries. The ICCIDD works closely with the World Health Organization and with UNICEF and is committed to bridging the gap between research and application in 130 countries. In May 1992, he was appointed Lieutenant Governor of South Australia, serving until 2000. 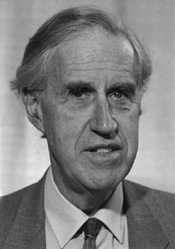 In September 1992, he was elected as Chancellor of the newly established University of South Australia and completed a six-year term in 1998. Basil Hetzel passed away on 4 February 2017. He was honoured with a State Memorial Service at the Bonython Hall, University of Adelaide on 27 February 2017. Hetzel BS, 2008, Personal communication.